Traveling solo is on the rise with so many people realizing that the cost to travel solo isn’t as high as they otherwise thought. Traveling solo is more affordable than ever before and many people are hopping on the bandwagon to experience new places without anyone in tow. These amazing ventures you get to experience when traveling solo cannot compare to anything else you’ll experience in your lifetime. Today I wanted to share a few mistakes to avoid when traveling solo so that you can fully enjoy this experience of traveling solo. This is a common mistake among those who travel solo. There are a few necessary items you should pack when it comes to traveling solo. You should have a first aid kit, extra clothing, a safety whistle or similar device and a luggage protector as well as appropriate charging docks for your smartphone. 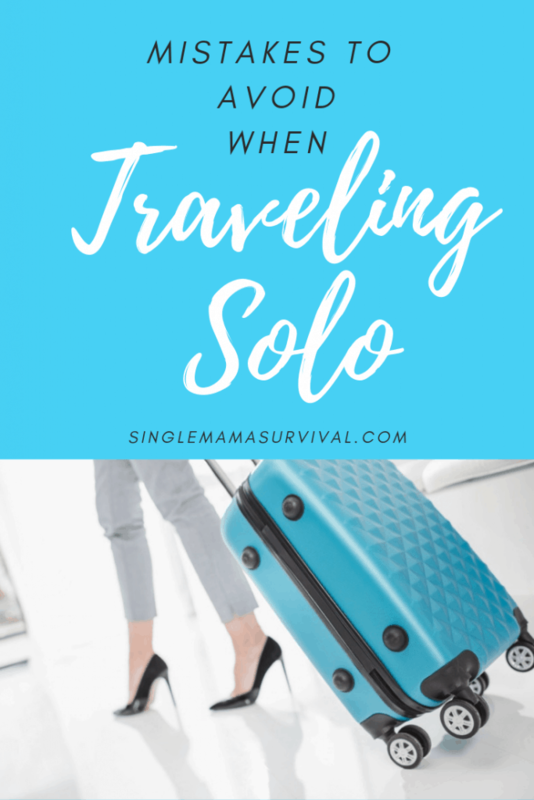 Many solo travelers neglect to be fully prepared when traveling alone and this can cause stress as well as unnecessary danger when traveling solo. When you’re traveling solo it’s harder to soak in the cultural differences and some differences can be quite intimidating. When you’re traveling as a group at least you have someone who can discuss these differences with, but when you’re traveling solo you have to take these culture changes alone. One mistake solo travelers make is allowing culture shock to destroy their entire trip rather than letting this just be a new experience to embrace. In addition to letting culture shock take you down, many solo travelers neglect to research the area they’ll be traveling to fully. It’s important to research the culture, and traditions of the area you’re traveling to. This leaves little room for surprises and allows you to get accustomed to what you may expect when traveling to these new areas as a solo traveler. Doing your due diligence in researching the area will alleviate anxiety and stress when traveling solo. This can go for any traveler, but being a solo traveler you may take it harder. Having unrealistic expectations of everything running smoothly or as planned because you’re traveling alone will allow for disappointment to creep in. No matter how well you plan your solo traveling trip, things will go awry and things may not go as planned, learn to embrace the fact that you will have some mishaps during your adventure. Letting go of unrealistic expectations will ensure you fully enjoy your solo trip. These mistakes to avoid when traveling solo are the top mistakes that every solo traveler makes from time to time. Once you’ve become a master at traveling solo you won’t see as many of these mistakes being made and you’ll start to go outside of your shell more as you experience the world on your terms.